Whether it's phishing, identity theft or hidden fees, tax season can bring out the scammers in full force. Learn how to protect yourself from the most common tax scams. Let’s face it: most people dislike tax season. It can be stressful, confusing and financially painful. There are some people, though, who enjoy it: scam artists. For these unscrupulous characters, tax season brings with it limitless opportunities to prey on the innocent and rob them of their hard-earned money. Scam artists are experienced in a variety of schemes that earn them millions of dollars every year. They take advantage of the trusting nature of people who are too baffled by the tax code to realize when they are being swindled. If you know what to look for—simple signs that betray the scam artist’s deception—you can survive tax season unscathed. If it feels too good to be true, it is. Nobody can get you a bigger refund than you’re entitled to. Phishing and identity theft are the most common tax scams, said Kenneth Price, a financial planner with Austin Asset Management Co. (austinasset.com) in Austin, Texas. Phishing can take many forms, but typically it’s done through phony emails. Scam artists adopt false identities as a way to extract personal information from their targets or to plant destructive software into a person’s computer. They often pretend to be IRS agents, informing their targets of problems with their returns or refunds and telling them that the only solution is to send their Social Security numbers or bank account information. Or the email will include a link that, when opened, installs into the victim’s computer spyware or malware that can then mine all their files and personal data. Unfortunately, this scam is often successful because people are taught to be scared of the IRS, said Kelly Phillips Erb, a Philadelphia-based tax attorney and founder of the blog taxgirl.com. This scam is easy to spot, however, because the IRS never contacts people via email, Erb said. Scammers will sometimes send emails that appear to come from legitimate tax preparers. If you receive a suspicious email that appears to come from TurboTax, forward it to us at spoof@intuit.com so we can investigate. You can also get the latest on any phishing scams we know about from our Online Security Center. Erb notes that scam artists also play on people’s distrust of the government. They send messages, she said, claiming that the IRS is withholding money and that only by sending the scam artist their personal information can these hard-working, government-phobic taxpayers take back what is rightfully theirs. Once they have a Social Security number in hand, the scammers can file a phony tax return in the victim's name, claiming a large refund and having it sent to a false address. The IRS also counsels people to be on guard against groups that encourage them to make “frivolous and outrageous” claims based on the false premise that they are not lawfully obligated to pay taxes. “While taxpayers have the right to contest their tax liabilities in court, no one has the right to disobey the law or IRS guidance,” the IRS notes in "IRS Summarizes "Dirty Dozen" List of Tax Scams for 2017." One of the surest signs of a scam is when tax preparers make unrealistic promises, guaranteeing huge payouts, regardless of an individual’s financial situation. If people take part—even unwittingly—in schemes where they claim deductions or credits to which they are not entitled, or if they allow others to use their information to file false returns, they could be liable for financial penalties or even face criminal prosecution. Taxpayers also need to be wary of ghost preparers, unlicensed companies or websites whose only goal is to take advantage of their so-called clients, said Kerry Freeman, owner of Freeman Income Tax Service in Anthem, Arizona. Freeman insists that people should use only a tax service that is well-known, established or registered with the IRS. 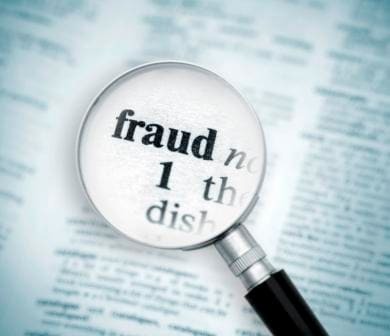 “I know one person who had a $10,000 refund and paid $2,000 in fees to a fake tax preparer, who then disappeared with all the money,” Freeman said. Some tax-related scams don’t have anything to do with theft, but everything to do with politics, Erb said. Several years ago during a contentious election cycle in the South, people found fliers in their mailboxes informing them that their tax records were linked to the voting rolls, Erb said. If they failed to file a tax return in the past or owed the government money, the flier warned, they should not register to vote, because that was the only way the government would be able to track them down. It was an attempt to suppress voter registration, and proof that fear of the IRS is a con artist’s best friend, Erb said. “This time of year feeds on people’s general insecurities and fears and mistrust of the government,” she said. If you suspect that you are the victim of a scam, contact the IRS Identity Protection Specialized Unit at 1-800-908-4490. Suspicious emails should be forwarded to the IRS at phishing@irs.gov. One of the most valuable characteristics taxpayers can possess is patience, said Rick Brooks, a financial planner with Blankenship & Foster LLC, in Solana Beach, California. When it comes to collecting their refunds, people are often given the option to either wait several weeks for the Internal Revenue Service to mail a check or to pay a tax preparer or financial institution a fee to receive it right away. This is called a refund anticipation loan, a short-term loan backed by an expected tax refund. It is perfectly legal, but it can be construed as a scam nonetheless, Brooks said. For example, a taxpayer may be given a debit card to withdraw the cash from their tax refund. Each ATM withdrawal, however, has a ceiling and carries a fee of up to $2.50 paid to the lender and an additional fee of up to $2.50 paid to the ATM operator. By the time she retrieves all of her refund using multiple withdrawals, these fees may absorb more than 10 percent of the original amount.